As systems get bigger spread across multiple locations, divisions, states and countries the permission that gives employees access to data in a data set can be found wanting. Some systems today have limited functionality for example you can have a supervisor and an employee, typically in this scenario multiple supervisors have access to supervisor and they can all see each others data. Sometimes it is beneficial to have the ability to create 3 levels of supervisor. Supervisor 2 role can include allowed to schedule and allowed to see costs, can schedule all departments. These are just examples, how do you need to manage permission to schedules in your business? I have seen some customers where Facebook is used for some schedules while spreadsheets may be used just for managers. How would you like to schedule all in one place? 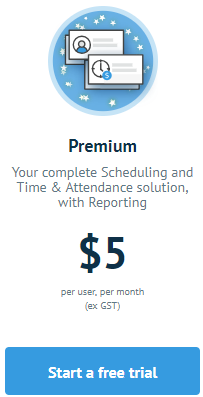 Well this is the best news to begin 2019, prior to this recent change it was costing $5 per employee per month for the most advanced scheduling and Time & Attendance system. We have a bunch of customers though that do not need the scheduling and some customers who do not want Time & Attendance, they just want scheduling. Now you can have your cake and eat it to. Having kids that work in the hospitality industry it is easy to see how manual scheduling process are still today. After working more than 20 years in this industry I am not surprised when a modern company is discovered to be still using paper time sheets and notes for scheduling. Every customer with a manual system has issues building, distributing and maintaining the schedule. Every person who has ever had to build, distribute and then maintain a weekly or monthly schedule knows exactly what I am talking about here. Building and sharing the schedule – It is one thing to build the schedule, once built you can share the schedule with all employees. I have seen customers share the employee schedule on a notice board, in the lunch room, more progressive companies try using Facebook. Maintaining the schedule – If your employees work the same hours each week doing the same work week in and week out then scheduling is very simple, copy this week into next week and away you go again. If your company is in retail or hospitality or health then schedules can change with a minutes notice. A restaurant may get busy 2 hours earlier than expected due to extra customers walking in off the street. What ever the reason how do you manage many changes to the schedule every day? Some companies will change the schedule daily, reprint and stick back on the noticeboard. Can you imagine doing this every day? Ways clever scheduling can help your business profit! 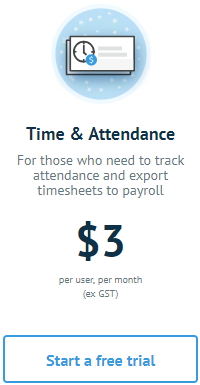 1/ Availability – Imagine if your employees could advise their availability in advance so when you went to build the schedule automatically employees who advised previously they were unavailable would not be available to schedule. 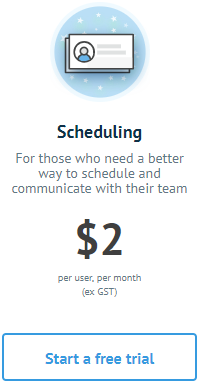 (you can still over ride this feature if desperate for an employee to walk however the feature is designed to help both the employee and the scheduler. 2/ Shift Swap – One of the best features ever invented for many industries. If my daughter wants to swap a shift at her manual scheduling job she has to start contacting other staff to find one who will say yes they can work and take her shift, I can see the stress this puts on my daughter as she does not want to let her work down when something has come up including being sick. I cant imagine the stress this puts on a scheduler who’s job it is to replace a person who calls in sick, calling number after number until someone is found. What a waste of time? How much time would your staff save if employees managed the shift swap? Employees can only swap with suitably skilled employees to replace them. What an awesome add on to shift swap!! From the Deputy news board…. We just closed our Series B raise at $112 million! This investment will be pivotal in enabling Deputy to grow faster, deliver more value to our customers sooner, and ultimately fulfill our vision of empowering every hourly paid worker to do the work they want while helping owners to better run their business. 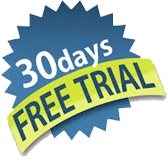 Need the worlds best scheduling software? Book a demonstration to see how good it actually is! !